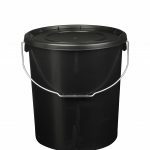 Clean black plastic buckets perfect for growing plants and vegetables in a hydroponic environment. 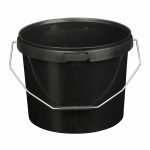 Get the highest quality containers for your hydroponic bucket system at some of the lowest prices online. Manufactured in the UK, all our hydroponics buckets use more raw material than the industry standard – and will last a lot longer than plastic buckets manufactured abroad. Buy direct and get manufacturer prices on higher quantity commercial orders. 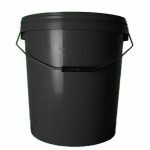 10L, 20L and 25L buckets available. All buckets come with lids.